If you’re a fan of outdoor adventures and often get involved in fishing, camping, boating, or just wandering in the wilderness, you probably get annoyed quite often by mosquitoes. Do you want to be protected this time, and not let your adventures to end in skin marks and itchiness again? The best mosquito repellent will definitely do the trick. To ensure safety from these little beasts, you need to have a mosquito repellent with you at all times. But, there are hundreds of mosquito repellents out on the market, making it almost impossible for someone with little or no knowledge about them to pick for themselves. That is exactly why we decided to help you out in your search. In this article, you can find a list of top rated mosquito repellents on the market. But, before we get to the product reviews, we’ll also be giving you an insight into the features you should keep an eye on before making the purchase, so that you end up with exactly the product that is perfect for your personal needs. Let’s begin with the table of products we reviewed in this article, so that you know what to expect. All mosquito repellents contain an active ingredient, i.e. the component responsible for repelling bugs, and preventing them from eating you alive. Here are a few of the common active ingredients and their effects. 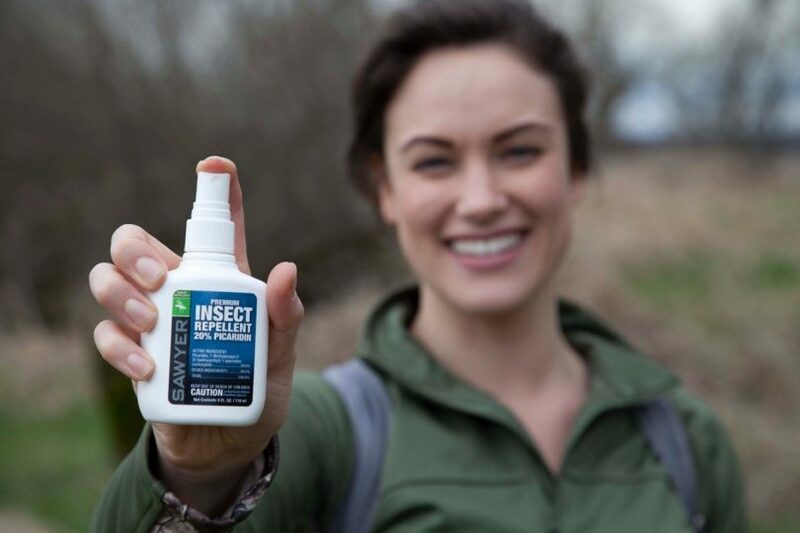 DEET, originally developed for military use, is the most common active ingredient found in mosquito repellents. Some people are put off by the effect it has on plastics – being a solvent it is capable of melting plastic, rubber, leather, and nail polish among others. It is available in varying strengths, from 5% up to 100%. The higher the concentration, the longer lasting the repellent will be, up to 10 hours generally. 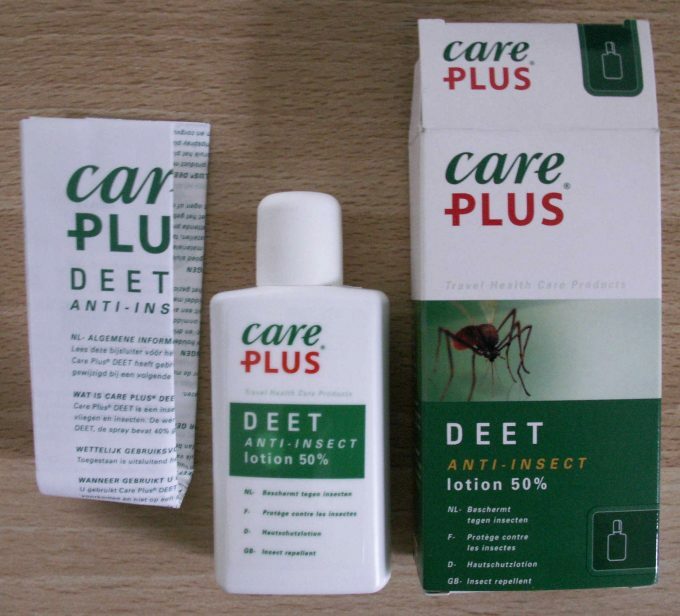 DEET is an effective repellent and has proved its mettle around the world, its downsides being the apparent toxicity of it. For a small number of people, it may irritate the skin, but the majority of people have been using it with no medical issues, as long as manufacturer’s recommendations are followed. Permethrin is applied to clothing and kit rather than directly on the skin, and is deadly to mosquitoes and ticks. It is commonly used in both the US and British military to treat uniforms. It works by bonding to the fibers of the fabric it is applied to, to create a long-lasting barrier, which, depending on the brand, can last as long as 6 months, or 20 detergent washes. This is a relatively odorless synthetic compound that works well in all environments and has proved its effectiveness in areas of extreme mosquito density. Permethrin proved to be highly beneficial for people that had skin allergies or avoided using DEET products until the introduction of Picardin. Picaridin is widely considered to very safe and is recommended as the number one active ingredient used to battle malaria by the World Health Organization. It is not known to irritate skin or even eyes, though care should be taken when applying to the face. 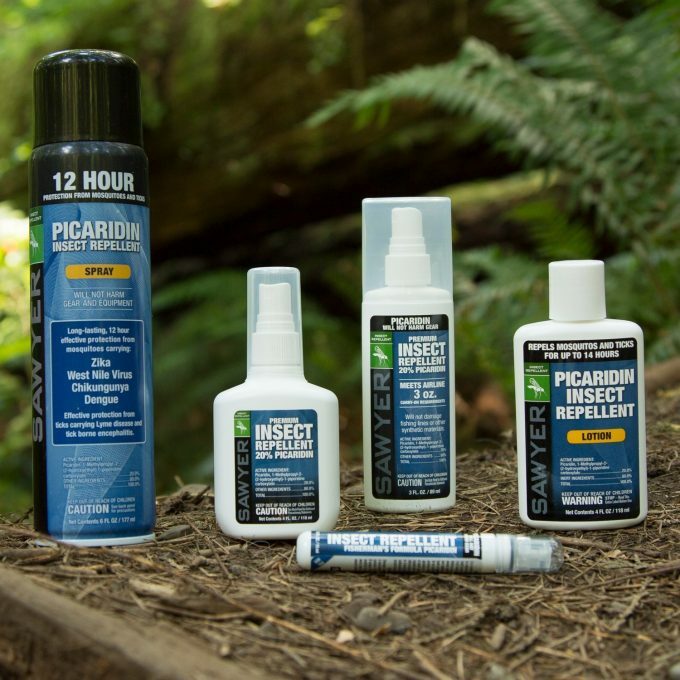 After issues with DEET arose, Picaridin emerged, offering a more user-friendly, active ingredient, being more or less colorless and odorless, and not sharing the toxic qualities of DEET. It’s effective as well, with great results around the world. It does not evaporate from the skin as quickly as other repellents and offers up to 12 hours protection. Since people have become wary of DEET-based products, a surge of more natural insect repellents have entered the marketplace. Most of these work through their sheer potency. We all have different taste receptors, and thus are sensitive to different flavor and aroma compounds. This is worth bearing in mind, as what is too much for some, may be pleasurable to you. Take a look through reviews of most repellents and you will see that some people love the smell and others can’t tolerate it. Natural repellents, while they work, do not have the same effectiveness or longevity as other repellents, so may not be suitable in more extreme circumstances. More common natural oils used include: Lemon Eucalyptus, Citronella, Lavender, Cinnamon, Thyme, Clove. Another important feature to consider while purchasing a mosquito repellent is the formula’s way of application. The repellent might come in the form of a lotion, spray or wipes. Lotions: they may apply very well, but may also feel too thick or greasy. It is widely believed that lotions containing DEET will last longer than sprays, as the evaporation of the DEET is slowed. Sprays: on the other hand, sprays are often far easier to apply and are generally less messy, they can also be applied to clothing and equipment, giving more overall protection. Wipes: wipes are the easiest method of applying repellent, however, the layer is very thin and will not last long, and you may find yourself reapplying several times a day. In this part of the article, we’ll be discussing some of the best mosquito repellent products in the market. You can make your final decision by assessing the features, pros and cons mentioned here. Weight: 12 or 24 oz. 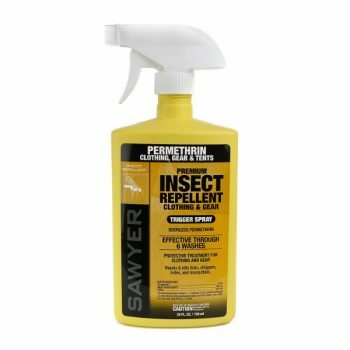 Description: The Sawyer Premium Permethrin Insect Repellent is an excellent alternative for people who are wary of spraying their bare skin with repellents, perhaps people with sensitive skin will appreciate this idea. This spray for clothes and gear claims to not only repel a large number of bugs, but will also kill the vast majority of them. It works by forming a protective, armor-like layer on your clothes, and is said to be effective for 6 washes, or 42 days of exposure to the sun. So, rather than spraying yourself several times a day, you can spray your clothes and kit once, leave it to dry and be insect free for weeks to come. A large bottle is said to cover 4 outfits, consisting of a shirt, pants and a pair of socks each. The spray is odorless after drying. On initial spraying an odor can be smelt, however, this is mostly from the aerosol propellants. The only issues we noticed with this product are regarding the packaging. There have been a few instances where the spray bottle or the nozzle started dripping or nozzle didn’t spray properly. To stay safe from this, keep the bottle packed in a vacuum bag. Related: To enhance your mosquito free travelling experience, consider taking this Everest Double Camping HammockEverest Double Camping Hammock with you. It’s made up of breathable nylon and offers plenty of room due to its flexible ridge system. 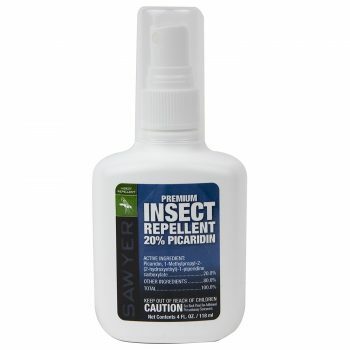 Description: The Sawyer Premium Picaridin Insect Repellent is a lotion to consider for the family, and for anyone who is put off by DEET-based products. It is a low odor lotion that is easily applied and doesn’t feel greasy, however, note that it can be difficult to apply this lotion everywhere you’d like to, and the places you’ve missed are where you are likely to find the bites. The repellent itself seems to work for the vast majority of people, being effective against mosquitoes with people claiming that they will land on their protected skin, only to fly off again shortly after, appearing drunk. It’s not 100% effective, of course, and in conditions with swarms of mosquitoes and flies, you will inevitably get bitten, although far less than you would, had you not put the lotion on. There are some cases where this product had a low effect, so if you’re a real mosquito magnet, you may consider something a bit stronger. Related: You can maintain your style and be protected from mosquitoes at the same time. Consider taking the White Sierra Men’s Bug Free T-Shirt on your adventures in mosquito infested areas. 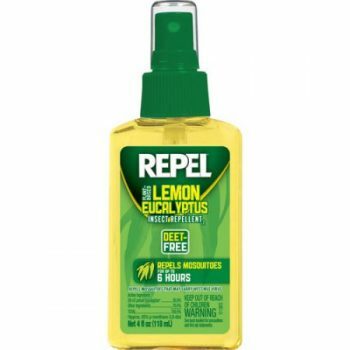 Description: The Repel Lemon Eucalyptus Insect Repellent is another alternative to DEET-based repellents for those who are looking for a more natural mosquito repellent. It gets mixed reviews, but on the whole, this seems to be a good spray and seems to be most effective in areas that are not too heavily populated with mosquitoes, such as in the garden or around town. It works by simply confusing the unfortunate mosquitoes that get a whiff of the pretty potent citrus smell. In fact, the main issue of this repellent is the overpowering smell, which seems to be a little too much for some, while others actually quite enjoy it. Like anything, it seems it’s down to personal sensitivity. Unlike DEET-based repellents, it’s a smell that doesn’t soon fade away either. Furthermore, for those who have a sensitive skin, there is a risk of slight skin irritation, and this can be tied down to the citrus element in the repellent, rather than any chemical toxicity. Again, it doesn’t affect everyone in this way, but some may even feel uncomfortable after application. Related: In case the repellent is not enough, you will need a more effective solution. The Coghlan’s Bug Jacket offers great overall protection from bugs, and it is flexible and comfortable enough to wear. 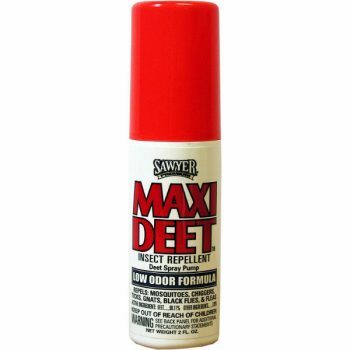 Description: The Sawyer Premium Maxi-DEET Insect Repellent may seem crazy strong, perhaps a bit overkill, and with so many concerns over the safety of using DEET products, it may seem a strange choice. 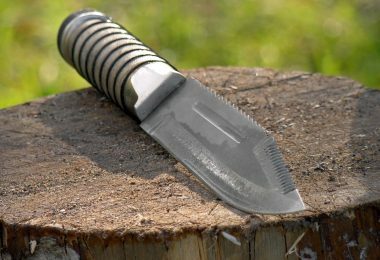 However, it’s an incredibly effective mosquito repellent, and under the right circumstances, may be the only one that can keep you relatively bite-free. This product is particularly recommended for use in areas of extreme mosquito density, such as swamplands or rainforests. Application is easy enough, and a little does tend to go a long way. While for the most part, it is more or less odorless, but if you have a sensitive nose, you might smell it a little, but of more concern is the oily texture when applied. This can be uncomfortable for some, causing stickiness, however, as previously stated you do not need to apply too much at once. Also, be aware that if you sweat, it will wash off as this is not a waterproof repellent, and you will need to reapply it. On the whole, putting this repellent on your bare skin shouldn’t be a problem, however, you should first test it out with a small amount on a small patch of skin, so that you see if a rash appears, or you have a sunburn-like sensation. Related: In case you want to maintain your fashion appeal while repelling mosquitoes, consider White Sierra Bug Free Printed Gauze Scarf. This is one of the most fashionable pieces of mosquito protection gear on the market. 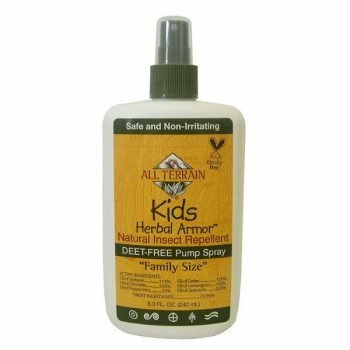 Description: The All Terrain Kids Herbal Armor Insect Repellent is targeted specifically for children. It is DEET free, which will certainly put the minds of several concerned parents at rest, and has a natural, herbal odor. It is this odor (citronella is most commonly described) that repels the mosquitoes and as with most herbal repellents, the smell is described by some as mild and pleasant, and others as overly potent and unbearable. More sway to the fairly light and pleasant side of the spectrum, but there are many who are wary of applying this to their child’s face, due to the potent smell. The repellant, though in spray form, comes out of the bottle in line of creamy lotion, and is easily applied and rubbed in, though a mist spray would be more effective and less messy. As for the effectiveness of the product, in the vast majority times it is effective, but there are some cases when someone’s personal body scent is simply a too strong mosquito magnet, and there isn’t a repellent that could help. Related: When an insect repellent is just not enough, you need to take your mosquito strategy up a notch, and you can make your outdoor adventure more enjoyable and mozzie-free, with this portable Enkeeo Mosquito Killer Camping Lantern. This trip companion can help you in keeping your tent illuminated and bug free at the same time. 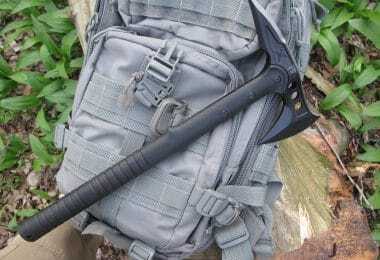 It is waterproof, rechargeable, portable and can be carried around easily. 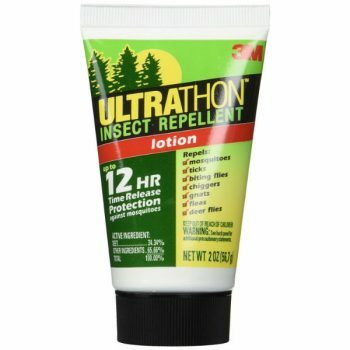 Description: The 3M Ultrathon Insect Repellent had been originally formulated for the US military use, in some of the harshest mosquito environments in the world, including Central and South America. It is different to other, not so long lasting repellents, because it has a special time-release formula. Also, unlike many of the competitors, it doesn’t use alcohol, which is prone to evaporation, after a few hours. This time release formula comes at a price, however, as you might the lotion on your skin as sticky, greasy, and uncomfortable. But, it is definitely worth it, for the protection it gives. With this lotion a little goes a long way, and the tube may seem small, but even a thin layer will provide effective protection. The protection offered is very good, with effective results in various areas around the world. It is as waterproof as the manufacturer claims, staying on even after profuse sweating in humid climates. In fact, it can be a bit too waterproof as it seems to be difficult to wash off at the end of the day. Related: If you’re planning a trip into a forest and don’t want to be bothered by insects, bugs or any other inconveniences, a travelling shelter would be the perfect solution. 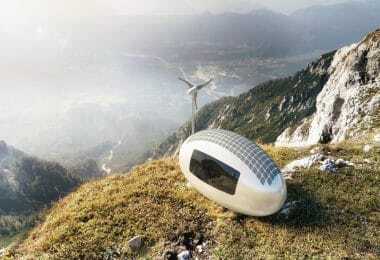 You can make your stay easy and comfortable with this Clam Corporation Traveler Shelter. It is easy to set up, and provides excellent protection from all kinds of insects, mosquitoes included. 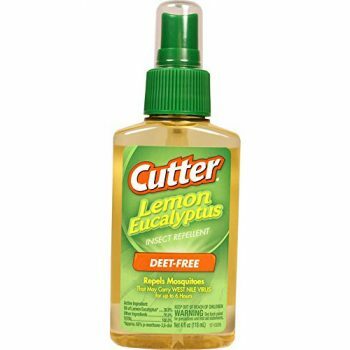 Description: The Cutter Lemon Eucalyptus Insect Repellent is another effective alternative to DEET-based products. It is actually very used in areas that are known for mosquito infestation. The spray pump is easy to use and gives control over how much you spray at a time, and the repellent itself comes out clear and fairly thin, making it very easy to apply to harder to reach areas of skin. Also, it doesn’t leave your skin feeling overly sticky or greasy, however, once again, it is the smell that is the biggest issue of this repellent. Some people might find the smell, strong but not too bad, but there are some people that find too strong, and there are cases when people wash it off straight away after applying. Generally, with any natural repellent, it’s always going to be a case of whether the inevitable smell is something you can live with or not. Regardless of the smell, the repellent doesn’t have any grease factor, and is quite effective. Related: In case your insect repellent’s smell doesn’t seem refreshing to you, consider this Incognito DEET-Free Anti-Insect Room Refresher. It would keep your room odor free and refreshed at all times. An added benefit would be its mosquito repulsion ability. 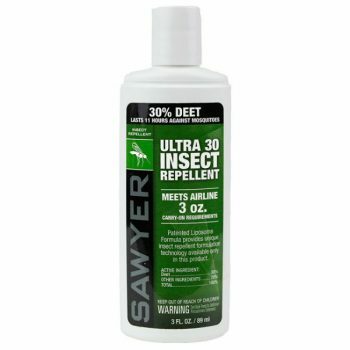 Description: The Sawyers Ultra 30% Insect Repellent is one of very effective products on our list. It is different to similar products, in that while it still contains DEET, it is easy to apply and unlike other brands, doesn’t leave your skin greasy or sticky. The lotion is liposome-based, which ensures that it is absorbed into the skin, rather than leaving a film on top. This, combined with the controlled release formula which ensures the DEET is released slowly over the course of several hours, makes for a product that is comfortable to wear while providing protection for the majority of people, for up to 11 hours. For a concentration of only 30% DEET, this is a very long time. The bottle says that this lotion is odorless, and while it certainly isn’t as pungent as natural repellents, some sensitive noses will pick up a smell. However, this soon fades after the lotion has dried. Related: To even further ensure your safety from mosquitoes, beside the insect repellent, you can lso give the Abba Patio Shade Canopy a try. You may utilize this shaded canopy on your adventures in the forests or hilly areas. It comes with a wheeled bag. We have reached the end of our article. Having seen eight of the best mosquito repellents on the market, we are sure that now you are able to choose the best solution for saving your skin. To sum up, the choices you will need to make come down to: Which active ingredient do you think you will need/feel comfortable using? How do you want to apply the product? 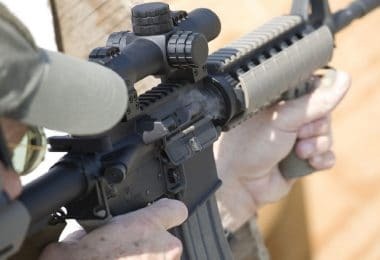 How long will you need protection for? Does it need to be sweat proof/water resistant? Will you need to be socially acceptable? Most importantly, you need to consider the environment you will be using it for as not all repellents are effective in every area. Now, it’s your turn to share some thoughts. Have you used any of the reviewed products? Were they effective? Which one do you think would work the best for you? Let us know by leaving a comment in the comments section below. Thanks for reading, and if you think that your friends can also benefit from this article, feel free to share it on social media.